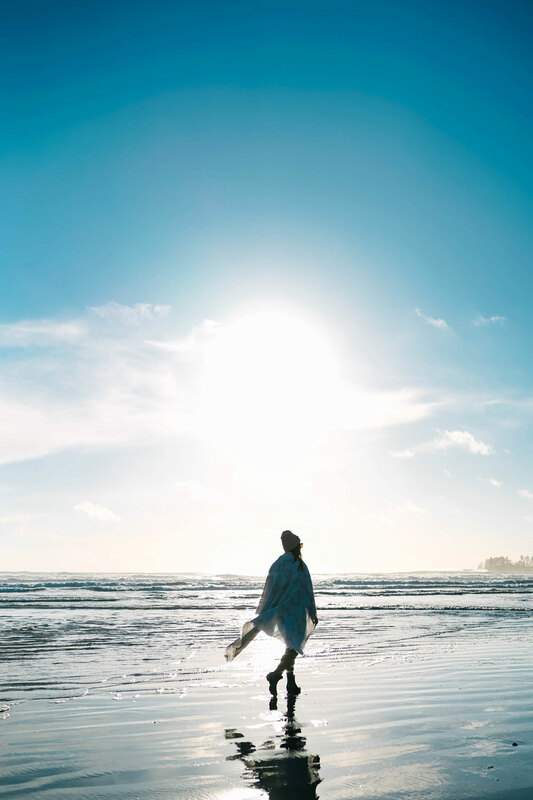 It honestly feels like yesterday that we were in the magical town known as Tofino because, well…we kind of were. Well, give or take a day. 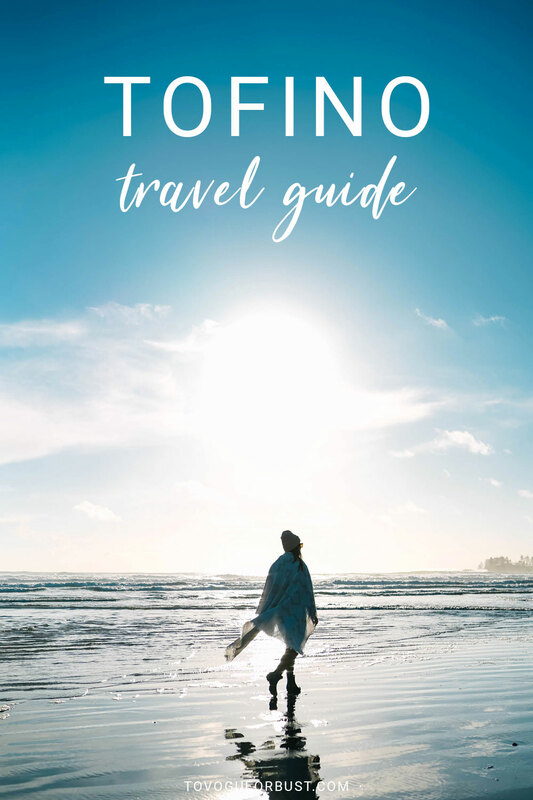 My goal is to go full-steam ahead with holiday content for you guys moving forward but didn’t want to wait until 2019 to share this beauty of a post (if I do say so myself) because it was just such a special trip and a place that’s well worth visiting as soon as possible, so here we are – my Tofino travel guide! 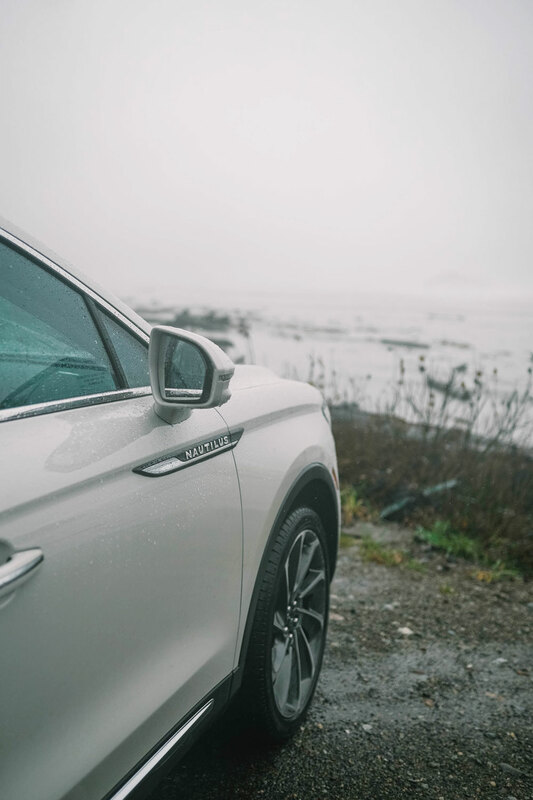 We took off in Lincoln’s new 2019 Nautilus which couldn’t have been a more perfect car for our adventure (more on what makes it special later in this post). As its aquatic name suggests though, it was the perfect car to keep us safe, warm and honestly, having a luxurious experience despite the rain storm that came down on us pretty much the entire weekend save for this beautiful sunshine and sunset we got on our arrival. 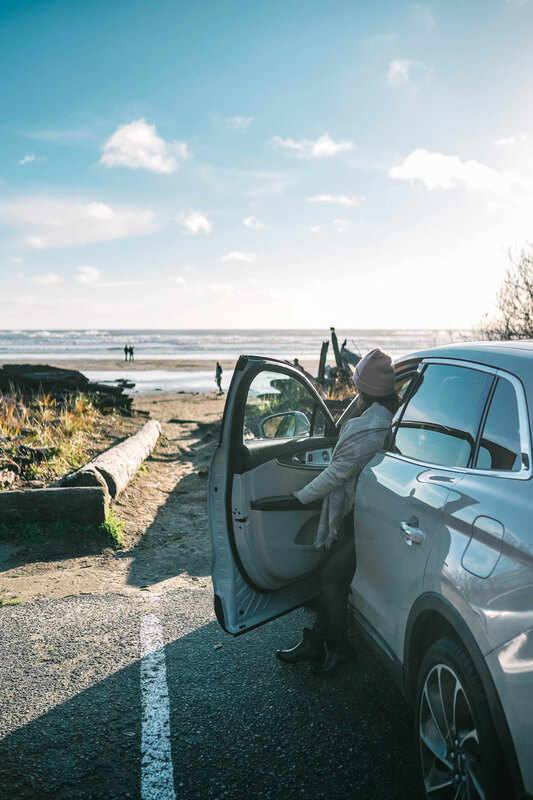 I can’t wait to share more about this car but first, a bit on Tofino! 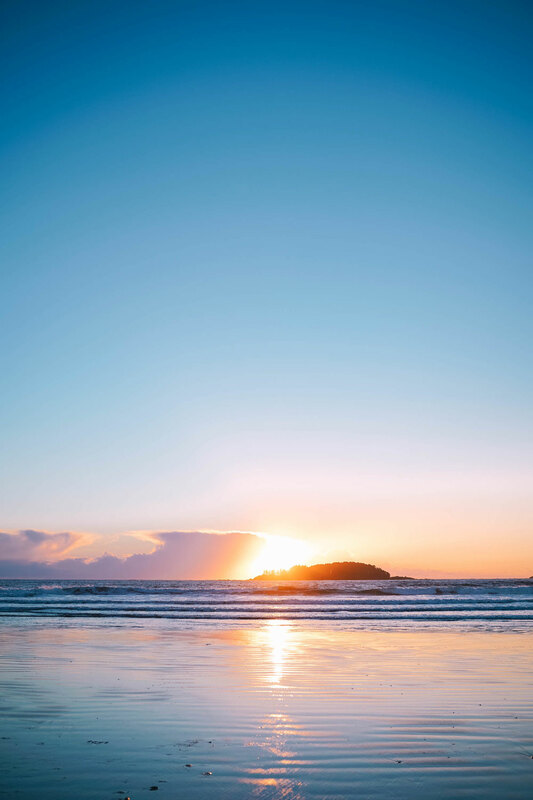 For those of you not from the West Coast or who aren’t familiar with Tofino, it’s a small town located on the west coast of Vancouver Island, right off the mainland. Matt and I actually met at the University of Victoria so we spent some good years of our life on Vancouver Island (more on lovely Victoria here) and I honestly have been toying with the idea of moving back for a long time – it’s well worth a visit if you’re visiting Vancouver or if you’re a local, an amazing weekend getaway. 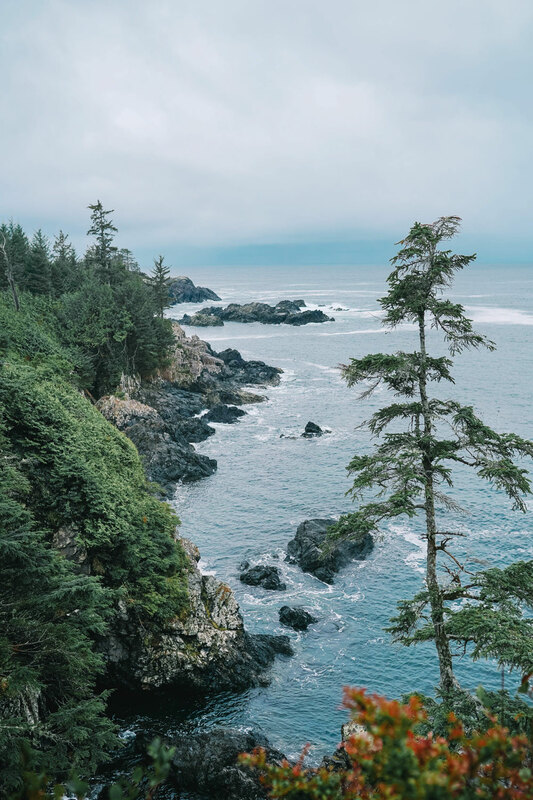 For some reason though, neither of us had been to Tofino for a good length of time since we were kids – I was flown in for a few hours last year but not long enough to have a proper visit! 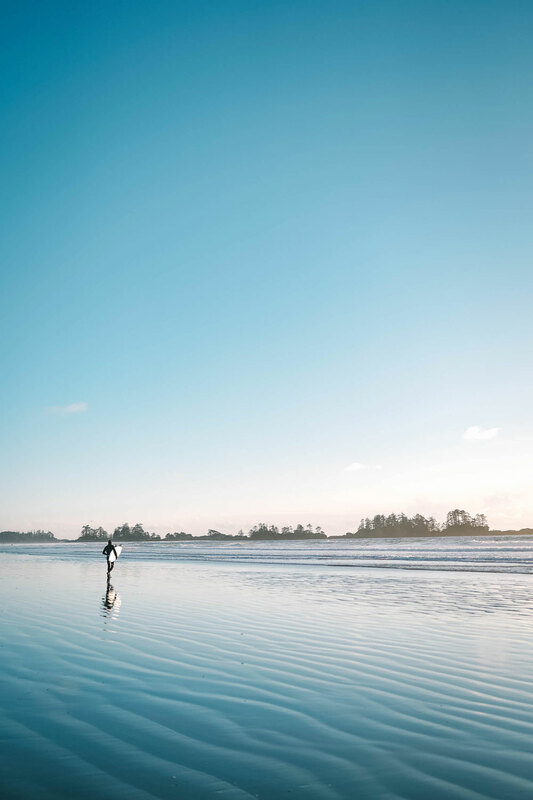 Tofino has become famous as a surfing destination, which is one thing I was intent on doing and so happy we did (more on that in a second). It was the best experience. 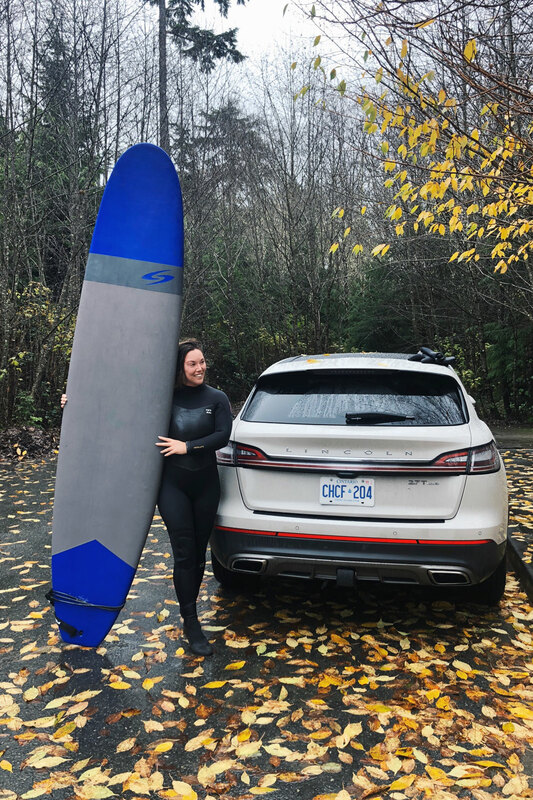 One of my good friends lives in Tofino pretty much year-round and said that for the most part, everyone surfs – whether it’s before work or after, most cars you’ll see being driven around by locals are loaded up with a surfboard or two. 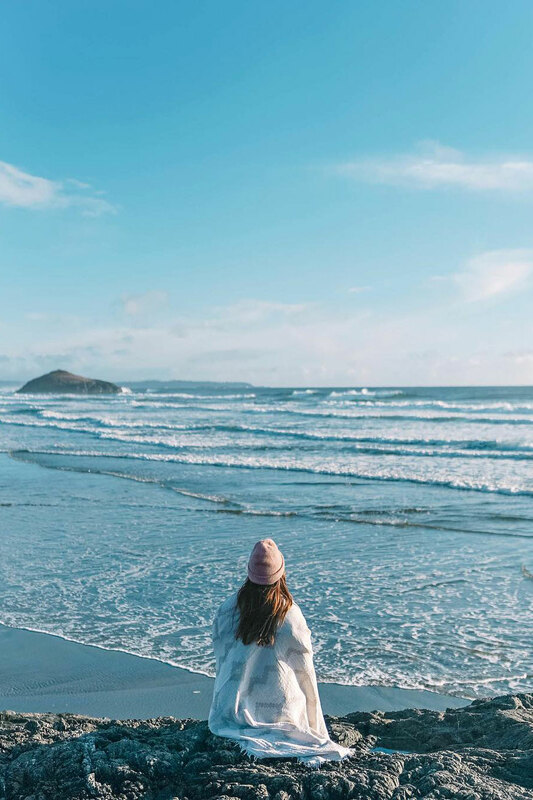 Other than surfing though, people are obsessed with Tofino because it’s just a treasure trove of nature in general, whether that’s hiking, going for long walks on the beach, storm watching in the winter and so much more! We headed up for 3 nights and I can say without doubt that it is a new favourite spot for us – we can’t wait to come back again as soon as we can and surf, eat, relax and hike to our hearts content! As active outdoorsy types, it’s pretty much heaven on earth for us, though I like that even if you didn’t want to hit up hiking or surfing as hard there’s so much to do and it’s actually seriously relaxing as well. So without further ado, I wanted to share some quick tips on what to do, where to eat, what to see, where to stay and more! We literally packed so much into our little trip so that we could share all our faves, hope you guys love them! Tacofino – you have to visit the OG food truck for one of the best tacos/burritos of your life! For the uninitiated to the Tacofino way of life, it’s expanded from a little food truck in this tiny outdoor shopping centre in Tofino to locations like its amazing Gastown brick-and-mortar restaurant (which always has the craziest lines). As amazing as the Vancouver locations are, we both agreed that we’d never had as amazing a burrito when we got it from the original food truck itself. Tofitian – we’re both big coffee drinkers so we were on the hunt for some amazing java on the trip. My friend Lindsay who I mentioned above (who’s an amazing photographer based in Tofino but also Vancouver, book her!) is a Tofino local and said Tofitian is definitely one of the best ones and she wasn’t kidding! It was amazing and had some delicious pastries and the like too. Tofino Brewing Company – in a beautiful open space, this brewery serves up delicious beers inspired by the nature around them like their unreal Kelp Stout. I’m a sour fan so they had one on tap there I was obsessed with but I’d suggest just heading in and trying a flight to get a taste of everything they have on hand! For non-beer fans, they also have some great local cider on tap. Shed – a great place for a cocktail and a snack (and conveniently right across from Wolf in the Fog if you get put on the wait list), it’s a great hangout with a super cozy atmosphere. Shelter – I love the ambience of this place. Cocktails & snacks are a must here as well! 1909 Kitchen – with a seriously amazing view, you can cozy up and get one of our fave breakfasts of the trip or come later for dins (their holiday decor was unreal). After you’re done dins, you can head over to The Hatch pub for a drink! Kuma – so I feel a bit funny listing this because we didn’t go because it’s currently shut down, but my friend Lindsay who I mentioned above said that it was every locals’ favourite place and they were all heartbroken when it got shut down. Apparently they got bought by some new owners so they will reopen in the future and are supposed to be incredible! So check in on your next trip and see if they’re open, if they are, I’m sure it will be well worth a visit. Long Beach Lodge – we popped in for apres-surf to have some cocktails and oysters and we seriously loved the space. On our next trip up, we’d definitely be looking at staying here because you can literally just roll out of the hotel and head into the surf. The storm watching views are amazing and the cabins looked so cozy. 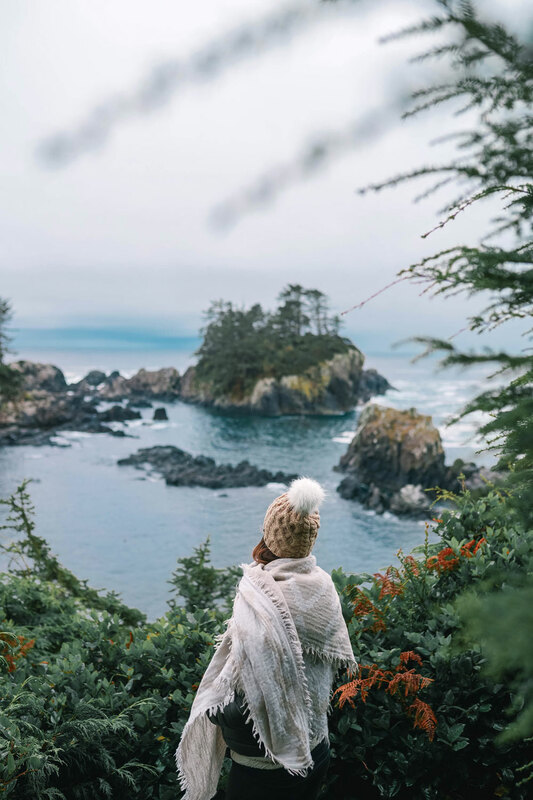 The Wickaninnish Inn – one of Tofino’s most famous resorts, it is a seriously gorgeous space and also boasts amazing views to take in while you’re cozy by the fire. 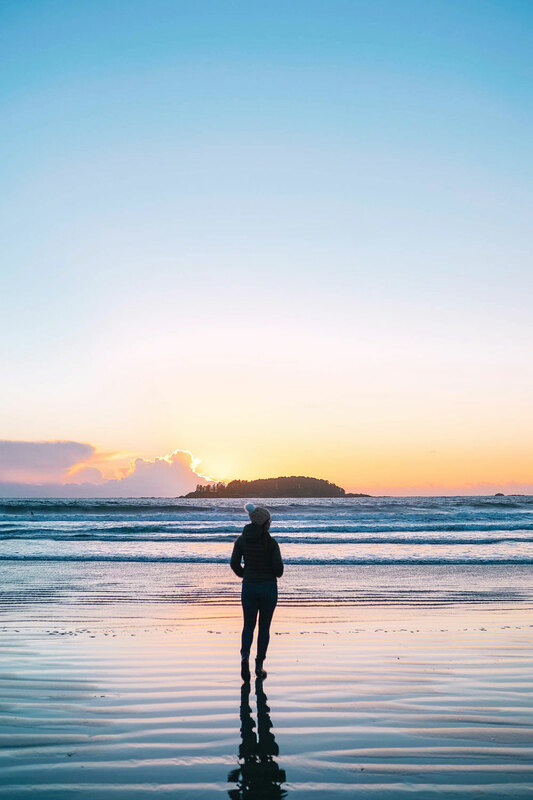 Tofino Resort & Marina – across from Strawberry Island is this cozy hotel (conveniently right next to 1909 Kitchen and The Hatch) with more accessible price points. RV or camp! In the summertime we’d love to come back up and set up shop somewhere in a campground or rent an RV. I seem to have pretty much constantly disastrous experiences camping so don’t know why I’m always so intent on it but I think it’d be an incredible way to see the area. Surf – whether you rent your own gear or take a lesson, if you’re into surfing this is pretty much your personal paradise. Even for those who have some background in surfing, it’s not a bad idea to take a lesson because I at least found it was very different surfing here in pretty much a rain storm versus the surfing I’ve experienced before in Hawaii. It was honestly the most fun experience and a pretty insane workout, particularly given the weather conditions. Can’t say enough good things about Surf Sisters! 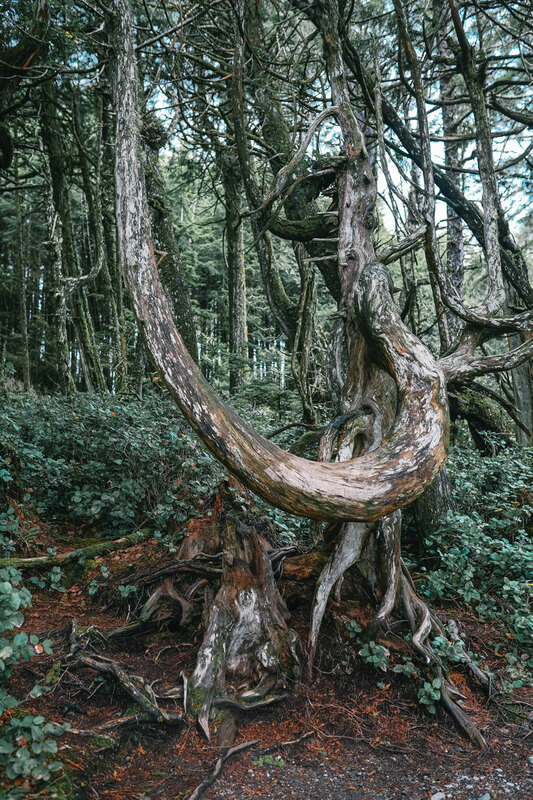 Go hiking – we did the Wild Pacific Trail in Ucluelet and had an amazing time. It’s more of a long walk than a hike but incredible views complete with lighthouses, beaches to climb down to and more. We’ve also heard amazing things both of the Radar Hill and Radar Beach hikes, the Tonquin Trail is supposed to be stunning and Cox Bay hike is supposed to be the place to catch an amazing sunset. As you likely saw from my snaps if you followed along on Insta Story, it was pouring rain (like actual rain storm conditions) so while the Wild Pacific Trail was totally doable, we though the other ones might be a bit too muddy to really enjoy. 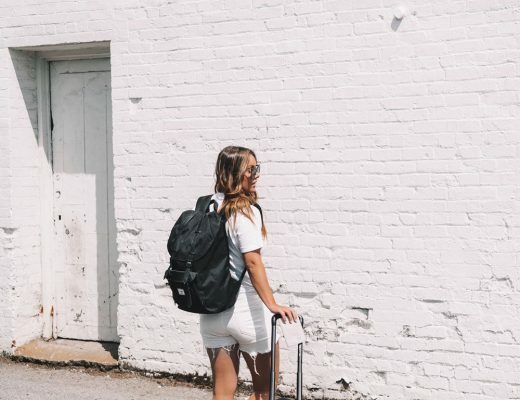 Definitely fit in at least one nice hike or walk during your trip though! 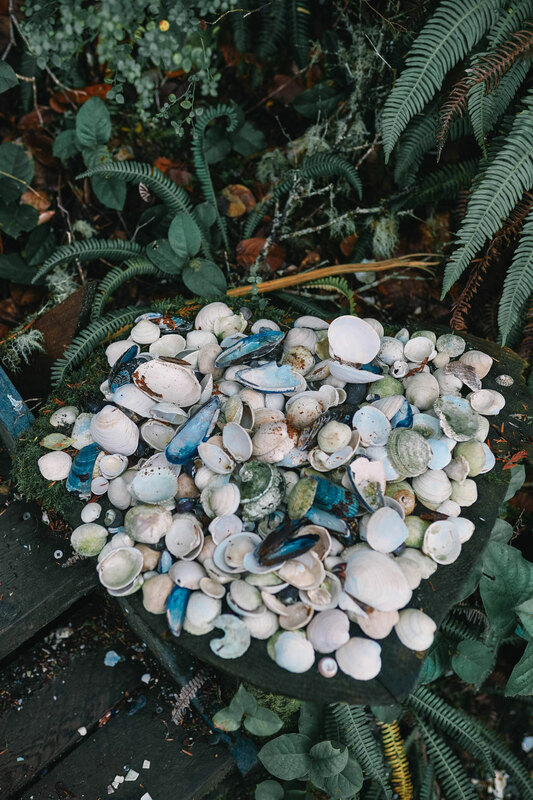 Shop – there are some seriously amazing small companies and business in Tofino that are doing incredible things and really representing the community. 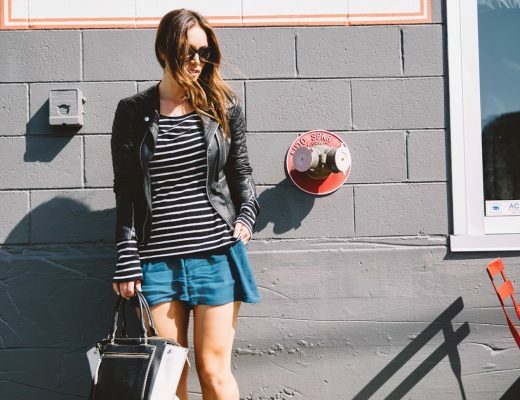 Some notable ones are Tofino Towel Co, Habit Tofino, Merge, Pina Styles, Storm and Salt. If you’re pressed for time you could fly up but then you’d have to source a car once you’re up there – I’m used to the trek up to the Sunshine Coast to my cabin so was anticipating this would be another big journey up, but honestly, it was such a lovely drive up and the ferry is pretty much just an hour and a half of straight chilling so it was far easier than the double ferry trip we have to take to get to my cabin! If you’re leaving from Vancouver, you just take the ferry from Horseshoe Bay (my main hangout because it’s the same ferry I take to get to the coast!) to Departure Bay in Nanaimo, and from there it’s under a 3 hour drive up. 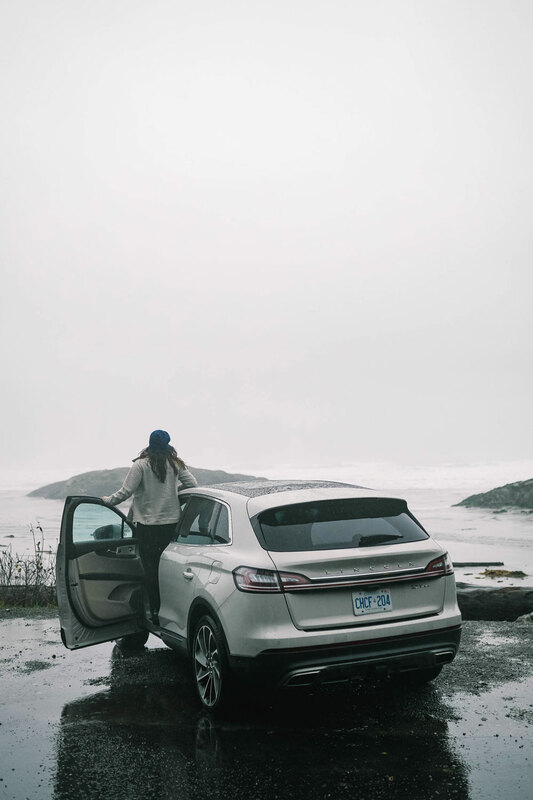 As I mentioned before, we took the Lincoln Nautilus up and we couldn’t have been happier to be experiencing the rugged coastline of the island and the gorgeous passageway through towering evergreen trees in such a luxe, safe car. 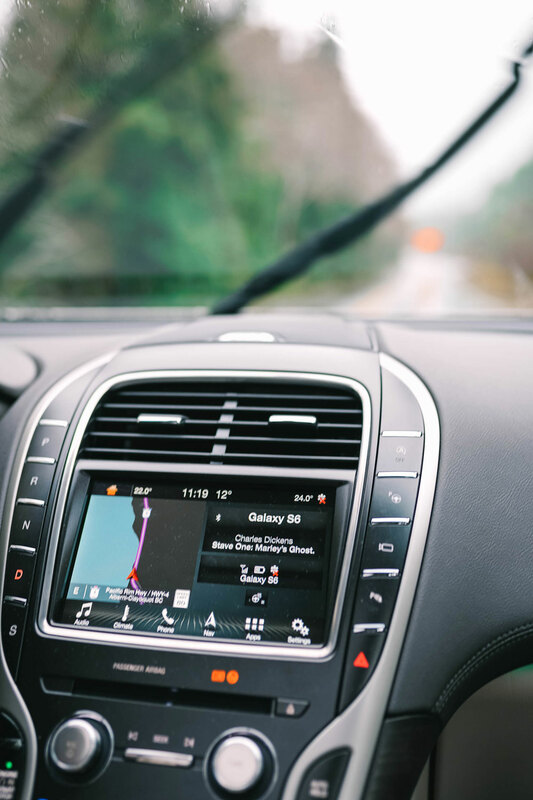 With rearview cameras (that even capture the view from above, which is seriously incredible), blind spot cross-traffic alerts and motion detection, we even felt in a literal rain storm. 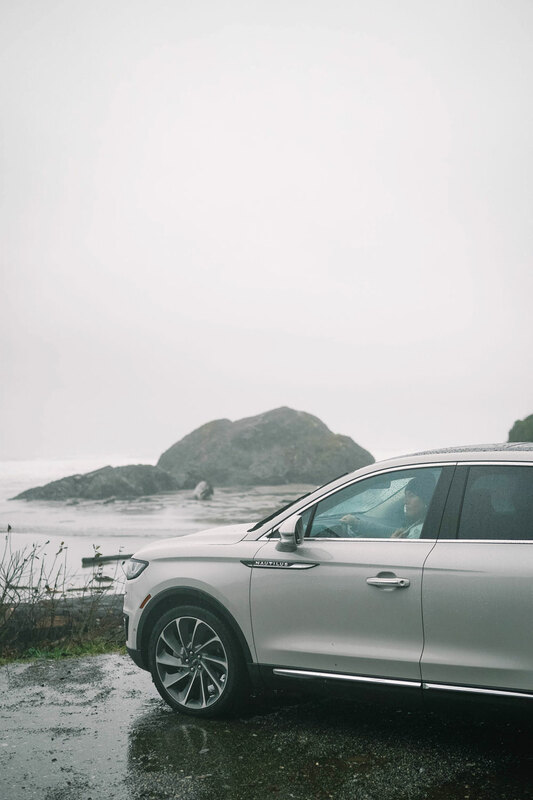 It’s also just such a luxurious ride – the seats are insanely comfortable, and with the seat heaters cranked up and the wheel heater on, it was the perfect cozy ride after getting soaked in the ocean or in the rain. Its current #RideTheStorm hashtag could not be a more accurate and perfectly suited thing since that’s literally what we did repeatedly in it! Also helpful to have the park assist in stormy conditions, which helps you seamlessly parallel park. The adaptive steering was super clutch (pun not intended) in helping us navigate over very different terrain, from highway driving in Vancouver en route to the ferry to winding, rugged routes through the forest. One thing you must do on the way up to stop for a snack or to just stretch your legs out is to go to the Coombs Farmers Market! I used to come here all the time with my family when we had swim meets or were visiting my aunt and uncle in Nanaimo and it’s so fun. They have goats on the roof, I tell you! It’s originally a serious hippie zone and I love how it’s evolved to still maintain those original ’60s hippie vibes but have expanded to bring in some stunning shops and new dining as well. We ate at Cuckoo Trattoria and it was amazing, such good Italian food! And also, so many of you have been asking where I got our latest basket from that was in my Insta Story – it’s right across from Cuckoo! 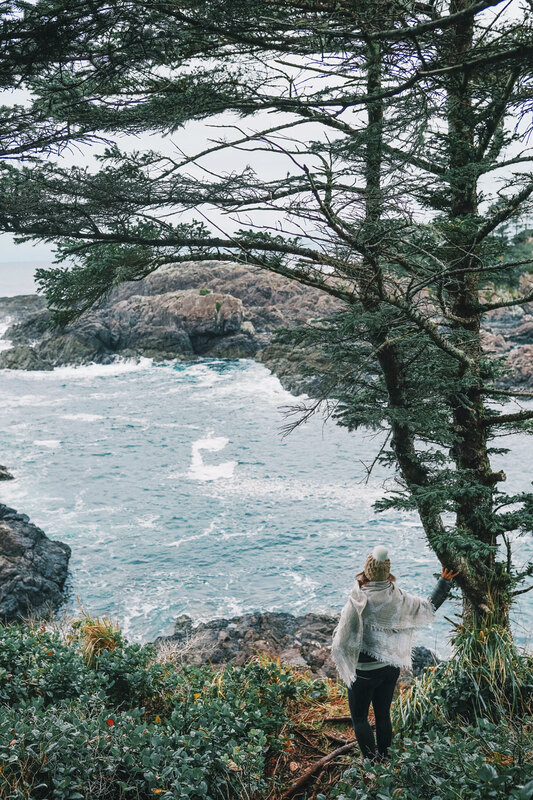 Make sure you pin the snap below to bookmark for your next trip up Tofino! Hope you guys loved this because from what I heard in the survey I ran awhile ago, you guys are really looking for more Canada travel! If you have any other requests, please just let me know! 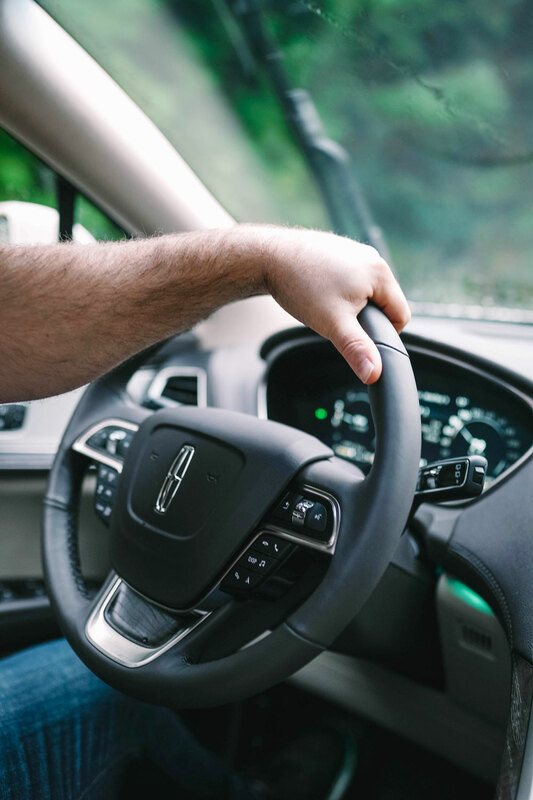 A big thank you again to the Lincoln team for setting us up with such a great car and coordinating this trip – if you want to learn more, visit the vehicle page here and check out the Nautilus on social with the hashtag #LincolnNautilus!